» 5 Best Chromebox You Can Buy Right Now! 5 Best Chromebox You Can Buy Right Now! Chromebox is a new type of personal computer from the well-known brand, Google. They are essentially personal computers fitted in small boxes and use Chrome OS as their operating system. They are small in size and don’t use much space in your living room allowing for ease of carrying and storage. They are primarily focused on web applications, therefore, they require a solid Internet connection to work properly. The best Chromebox can easily be used as streaming devices in the living room. Since they are small in size, they are easily set up on the Television desk and require minimum wiring. Make sure you get a wireless keyboard to get the most out of your new gadget! After setting it up you can stream from a variety of services like Netflix, YouTube etc. Heck, you can even stream data from your computer like games etc. Of course, you can also access IPTV services from these little devices. • Powered by an Intel Dual-Core Celeron 2955U processor which is clocked at a decent speed of 1.4 GHz. The processor is able to provide the user with enough processing power to take care of their daily needs like browsing the Internet, streaming, watching movies etc. • This Chromebox uses integrated Intel HD graphics as its graphics solution, which allows it to produce crystal clear and vivid images. • Packed with 2 GB of DDR3 SDRAM memory clocked at 1600 MHz, allowing it to multitask with ease without lagging and hanging. • Comes with a large variety of ports like 4 x USB 3.0, 1 x HDMI, 1 x Ethernet, 1 x Card Reader, 1 x DisplayPort, 1 x Audio out port. 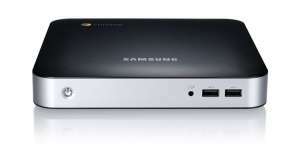 • This Chromebox has been fitted with a 16 GB Solid State Drive(SSD). SSDs are multiple times faster and have lower malfunctioning rates when compared to traditional hard drives since they don’t use any mechanical parts. 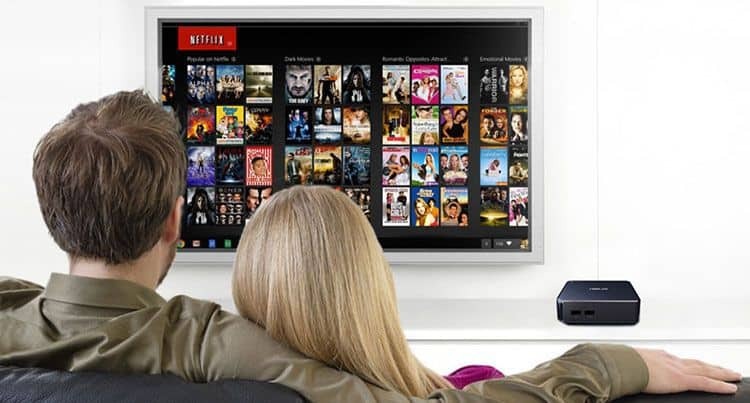 The integrated WiFi card ensures fast connectivity even when you don’t have a LAN cable running to your TV. • The product dimensions are 4.88 x 4.88 x 1.65 inches, which is pretty small and won’t take much space. • This Chromebox weighs 1.3 pounds. Overall, the ASUS M004U Chromebox is a bang for the buck and comes with enough features to satisfy the needs of the everyday user. Anybody who decides to go with it won’t regret it. • Powered by an Intel Celeron B840 which is clocked at 1.9 GHz. This processor has enough power to handle all your everyday needs like editing documents, browsing the Internet etc. • The Samsung Series 3 XE300M22 A01US Chromebox uses integrated HD graphics as its graphics solution which is able to reproduce high quality, crystal clear and vibrant images. • The RAM included in the Samsung Series 3 XE300M22 A01US is 4 GB DDR3 SDRAM. The RAM size is really generous and allows for swift multitasking without any lag or hanging problems. The user can have many more programs opened at the same time. 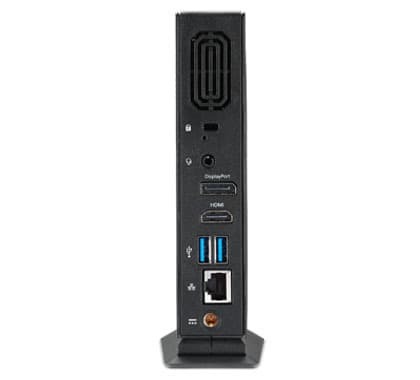 • The ports included are 6 x USB ports, 1 x DVI Port, 1 x Ethernet port and 2 x Display Port. 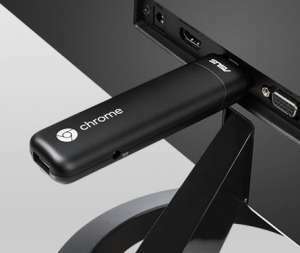 Sadly, this Chromebox doesn’t come with a built in HDMI port, so if you want to connect an HDMI device, you will have to buy an extra Display Port to HDMI converter. • 16 GB of fast SSD storage space which allows for quick storage and retrieval of your precious data. 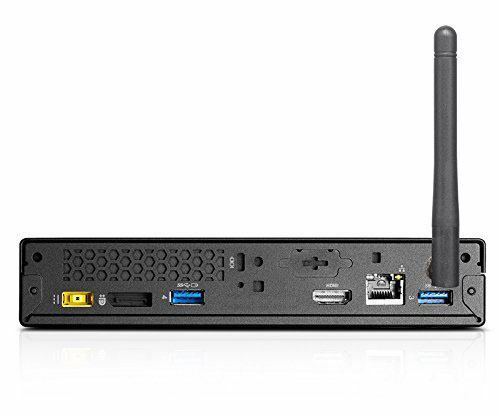 • The Samsung Series 3 XE300M22 A01US Chromebox comes with built in WLAN card so that you can easily and effortlessly connect to WiFi enabled devices without buying any external network cards or products. • The dimensions are 7.5 x 7.5 x 1.28 inches. • The Samsung Series 3 XE300M22 A01US weighs at about 2.6 pounds. The Samsung Series 3 XE300M22 A01US Chromebox is pretty decent for the price and looks sleek and elegant. With backing from a brand like Samsung, you can’t go wrong with this Chromebox. Lenovo is another one of the giants in the Tech world. They have produced some of the most high-quality computers currently available in the market. Today we’ll take a look at Lenovo ThinkCentre Chromebox. • The Lenovo ThinkCentre Chromebox is powered by an Intel 3205 Celeron 64 bit Dual Core Processor clocked at a speed of 1.5 GHz. The processor comes with 2 MB of L3 cache which allows the Chromebox to have sufficient processing power to satisfy the consumer’s every day needs like watching movies, streaming, listening to music etc. 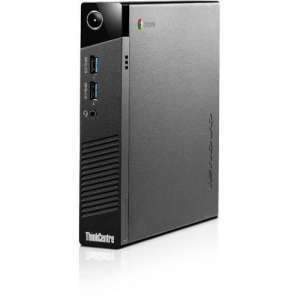 • This Chromebox comes with 2 GB of DDR3L memory which is clocked at 1600 MHz. 2 GB is ample for everyday multitasking and should be able to handle some of the more demanding software. • The graphics solution used in Lenovo ThinkCentre Chromebox is an integrated Intel HD graphics which is able to produce high quality, crystal clear and vivid images for the user’s pleasure. 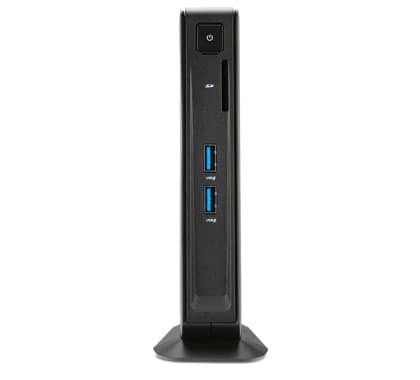 • As for the storage solution, the Lenovo ThinkCentre Chromebox uses 16 GB of Solid State Drive storage which is very fast and has almost 0 chances of data corruption and failure. • In-built WLAN card supporting speeds up to 1000 MBPS. • Also comes with built-in Bluetooth capabilities, allowing you to easily and effortlessly connect to your other Bluetooth devices without having to buy a separate dongle. • A combo of wired mouse and keyboard is included with the Lenovo ThinkCentre Chromebox. While this is a nice touch, for living room use, we definitely recommend a wireless keyboard. • Sports a decent amount of ports which include 1 x HDMI, 1 x DisplayPort, 2 x USB 3.0 and 1 x Ethernet port. • Comes with a built-in antenna for better reception of WiFi signals. 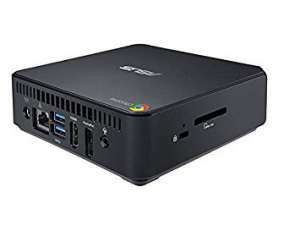 • The product dimensions are 11.75 x 7.5 x 20 inches, which is pretty small considering how many features this Chromebox comes with. • This Chromebox weighs at about 2.1 pounds. The Lenovo ThinkCentre Chromebox is best for someone looking for a Chromebox a bit more powerful than the run of the mill ones. This is easily one of the best Chromebox currently available in the market. If you are willing to shell out a bit more for better performance, this Chromebox won’t disappoint you. 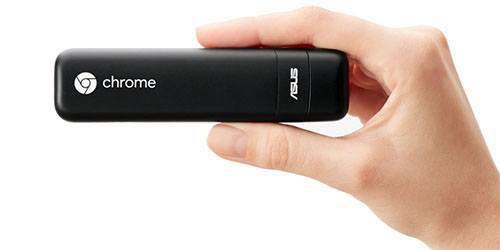 • The ASUS CS10 CHROMEBIT Stick Desktop PC is very small compared to a run of the mill Chromebox. If I were to compare its form factor to another product, it would be a USB flash drive. This size allows it to be carried anywhere easily within your pocket and its setup involves no wires at all. Just plug it into a Television screen via an HDMI port and you are good to go. 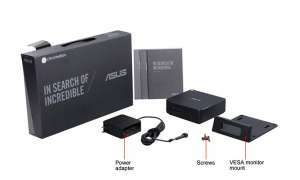 • The ASUS CS10 CHROMEBIT Stick Desktop PC is powered by Rockchip Quad Core RK3288 clocked at 1.8 GHz. This is pretty damn good considering the size of this Chromebox. • The graphics solution used by ASUS CS10 CHROMEBIT Stick Desktop PC is an integrated Rockchip T764 Mali which is a pretty nice graphics solution and is capable of producing high-quality, vivid images. • Comes with 2 GB of DDR3 SDRAM. Again, for its size, this is surprisingly solid and allows for decent multitasking. • 16 GB of fast and reliable flash storage allowing you to store your important data on the go. • Built-in WLAN card, you don’t have to buy separate products to connect to WiFi enabled devices. • Comes with one USB port. 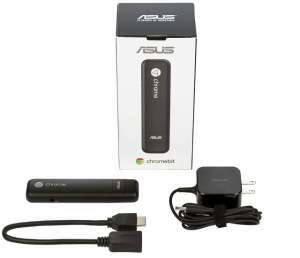 • Dimensions of the ASUS CS10 CHROMEBIT Stick Desktop PC are 4.84 x 0.67 x 1.22 inches. • The weight of CHROMEBIT is just 2.7 ounces. • An HDMI extending cable has been included in the package for ease of set up. The ASUS CS10 is the absolute best for anyone who is looking for a small factor plug and play streaming solution for their living room that can be easily carried elsewhere when needed and the best part is you aren’t compromising much when it comes to processing power. If you do decide to give the product a try you definitely won’t regret it. 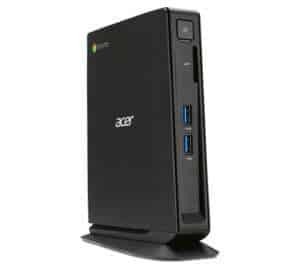 • The graphics solution used in the Acer CX12 4GKM Chromebox is Integrated Intel HD graphics which is enough for a device of this kind and is capable of reproducing crisp, crystal clear and vibrant images. • The storage solution employed by the CX12 is 16 GB of Solid State Drive storage which is very fast compared to the traditional hard drives and have a way less rate of failure and data corruption. • Comes with a built in Media Card Reader. You just need to insert your memory card into the port and you will be good to go. • The Acer CX12 4GKM Chromebox comes with built-in WLAN card so that you can easily and effortlessly connect to WiFi enabled devices without buying any external network cards or products. • Also comes with Bluetooth 4.0 so that you can easily and effortlessly connect to Bluetooth enabled devices without having to buy any external products. • Sports a LAN card which is capable of handling speeds up to 1000 MBPS. • Ports included: 1 x HDMI port, 1 x Display Port, 4 x USB 3.0 ports, 2 of which are on the front and 2 are in the rear. • The package comes with an included wired mouse and keyboard combo so you will be ready to use it from the get-go. Again, wireless counterpart highly recommended. • The Acer CX12 4GKM Chromebox comes with 4 GB of DDR3 SDRAM which is clocked at 1600 MHz and is enough to handle the most demanding software and capable of some serious multitasking. 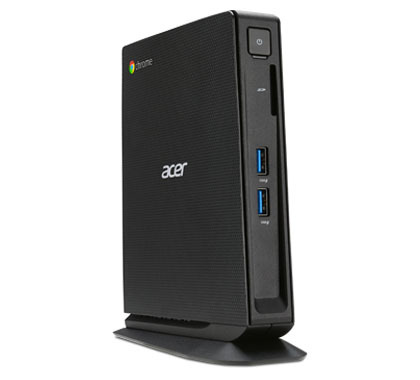 Note that you can also buy a 2 GB version of Acer CX12 4GKM Chromebox at a lower price if you are on a budget. • Weighs at about 1.2 pounds. 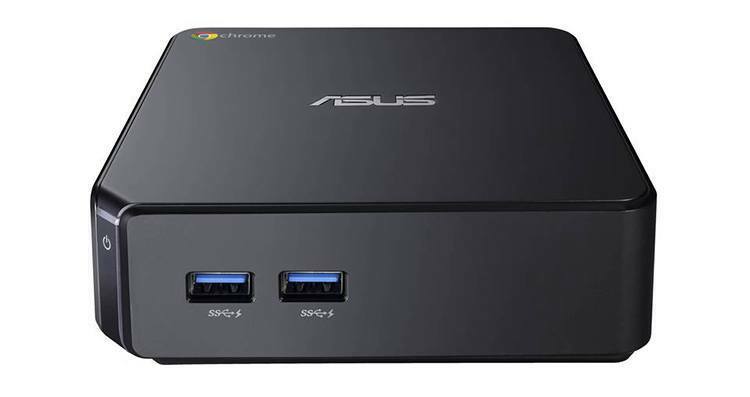 • The Chromebox’s dimensions are 6.81 x 5.5 x 2.27 inches. Overall the Acer CX12 4GKM Chromebox is a very bang for the buck product. It is very compact and wouldn’t take much space in your living room as well as easily take care of all your living room streaming needs. It’s truly one of the best Chromebox currently available in the market. One thing is clear from the above list of the best Chromebox. These devices do not have the flexibility and raw power of traditional desktops. While they’re enough to take care of daily needs like listening to music, streaming etc they are not enough for the more processing power requiring stuff like modern high fidelity graphics games and professional photo and video editing software like Adobe Photoshop. However, they are also a lot cheaper, smaller and lighter. This makes them ideal devices for living room use. If you are just looking for a streaming solution for your living room which will also be able to take care of some of the extra daily tasks, the Chromeboxes are perfect for you. Overall, they are enough for everyday users. So if you are looking for a new Chromebook, it would be best to check out the above listed for the best Chromebox. We can recommend all of them. So there you have it, our list of best Chromebox currently available in the market. Do you have some better suggestions? Would you like to share some tips for our readers? Whatever be the case, be sure to leave a comment down below – Which is the Best Chromebox for you?